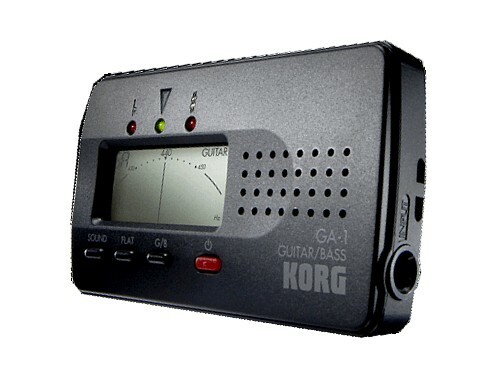 Quality guitar and bass tuner. 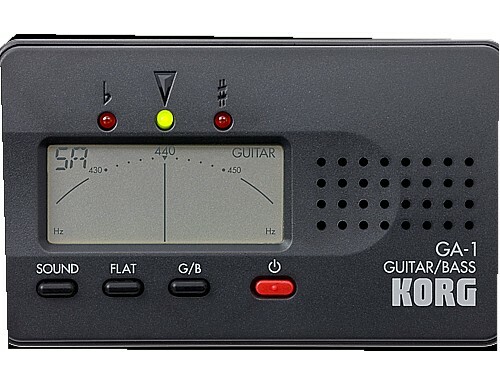 This extremely popular Korg guitar and bass tuner is a quality and reasonably priced tuner. 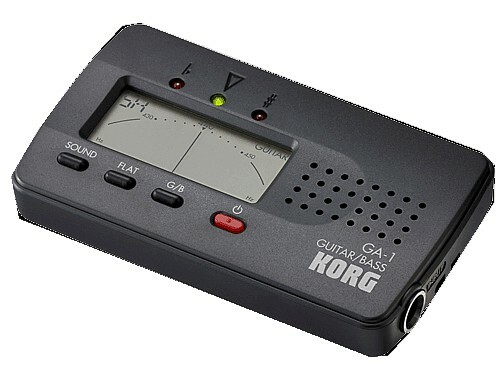 This solo tuner tunes with a 1/4" input or with its built-in microphone. It can tune a guitar with up to 7 strings and a bass up to 6 strings. The speaker plays reference tones, and has flat tuning - down to 5 semitones. This affordable tuner is the ideal choice for any guitarist or bassist. The tuner also has a handy tilt-slit design, meaning the tuner screen is easily visible and the handy auto-power off preserves battery life. It has a high precision LCD needle-type meter for stable tuning, making it extremely accurate. It is extremely functional and its compact shell makes it easy to transport for all your musical needs.